Why is Good Dental Hygiene Important? What Happens If We Fail To Care for Our Teeth Properly? Which Dental Treatments Do We Use The Most? How Much Does the NHS Spend on Our Teeth? These UK dental statistics were put together by Chemist 4 U to unpick the current state of the UK’s oral health and hygiene. They reveal trends in both adult’s and children’s dental hygiene habits and reveal interesting statistics such as how much dental care costs the NHS year on year. Just 58.2% of children are estimated to visit a dentist regularly. 56.1% of adults are estimated to visit the dentist as much as they should. It is estimated that up to a quarter of young children have tooth decay. The North of England are the most diligent when it comes to their oral health. £3.4 billion per year is spent on primary and secondary dental care for children of all ages. Just 58.2% of children were seen in the last 12 months up to June 2017, despite it being recommended that Children visit the dentist twice a year. On average, around 13.6% more children saw a dentist in the last 12 months from the North than the South. Over 1 million scale and polish treatments were delivered to children last year. Just 5 years ago, tooth decay was recorded as the single most common reason for hospital admission for children between the age of 5 and 9. An average of 3 school days are missed every year due to poor dental health. The NHS spends around £3.4 billion per year on children’s dental care. Each tooth extraction on a child costs the NHS £850. 49.% of adults did not see an NHS dentist in the last 24 months. The North West set the record for most dental attendances, but data still shows that 43.9% did not see a dentist in the last 24 months. In London, 55.7% of people have not seen a dentist in the last 24 months. The highest figure in the country. Almost half of all dental treatments for adults are a scale and polish. With 12.7 million performed every year. The rise for dental check-ups has only grown by 20% over the past 40 years, with almost half of Brits still not attending checkups every 24 months.  Recent research undertaken by Chemist 4 U has revealed the latest oral hygiene statistics across the UK. In many cases, the results were surprising, and serve to unveil - as least in part - the effect that our current lifestyles have on our health in general - as well as the knock on effect on the National Health Service. Before we explore the findings of the Chemist 4 U Dental Statistics 2018, please read on for a little background provided by the NHS that focuses on the significance of oral health in general. We are regularly told by dentists and other medical professionals that taking care of our teeth and gums is a vital part of living a healthy lifestyle. Common guidelines for practising good dental hygiene includes brushing teeth thoroughly at the beginning and end of each day, as well as using dental floss and mouthwash regularly. This helps us to remove plaque, tartar and trapped food, fight stains and combat bacterial build up that might otherwise lead to infection and decay. If we do not follow a good oral hygiene routine daily, it’s highly likely that we’ll experience a number of problems further down the line. In these cases, it is more likely that our teeth will fall victim to extrinsic staining due to the food and drink we take in, and we may also get bad breath (halitosis) as a result of pieces of food becoming stuck between and around our teeth and gums. More seriously, failing to take care of our teeth can lead to enamel erosion, tooth decay, cavities and gum diseases such as gingivitis. In the long term, not only may oral health problems lead to tooth loss and dental pain, but it can affect the blood vessels, with recent NHS studies finding potential links with heart disease, diabetes, rheumatoid arthritis, strokes and dementia. Chemist 4 U’s 2018 dental hygiene research has revealed that our attitudes to oral health are changing - and not necessarily in a positive way. According to the NHS, adults should be seeing their dentist every 12 to 24 months, while children should do so once every sixth months. Our study found that just less than half of UK adults saw their dentist between 30th June 2016 and 30th June 2018 - a drop of approximately 0.4% compared to the period from 30th June 2015 and 30th June 2017. 11.4 million treatments in total were delivered to children throughout the last year. We discovered that, during this time, 41% of children in the UK hadn’t seen a dentist at all - with only 58.6% of children saw an NHS dentist in the 12 months. The number of dental check-ups attended by adults per year has surprisingly only grown by 20% since the late 60s, with almost half of Brits still failing to attend checkups every 24 months. However, there has been an increase of 0.3% in the number of units of orthodontic activity (treatment of dental and jaw irregularities) between 2017 and 2018 when compared with the previous year. Of the 39.2 million treatments received by paying adults throughout the 2017-18 period, 60% were classified as urgent. One of the worrying factors of our study was the discovery that around a quarter of young children in the UK currently suffer from tooth decay - usually impacting an average of three to four of their teeth. In fact, around 12% of three-year-olds are affected - a particularly shocking figure considering that this is advised by the NHS to be the age by which children should have all of their healthy milk teeth. Our children miss around three school days each year due to dental issues on average, and between 2012 and 2013 it was found to be the most common reason for hospital admissions for young people between the ages of 5 and 9. Extractions were still a common reason for admissions between 2014 and 2015, with 63,000 under 19-year-olds heading to the hospital for that purpose throughout this period. As a result of child oral hygiene issues, we spend around 2.3 billion pounds a year on private treatment, on top of the £3.4 billion that the NHS spends per year on children’s dental care. Adults who have retained one or more of their natural teeth are known as “dentate” adults, while those with no remaining teeth are “edentate”. A positive finding in our survey showed that the past 40 years have seen a considerable decrease in the number of edentate adults - from 25% to just 6%. However, this does not mean that we are a great deal better at taking care of our teeth and gums than we used to be - according to our study, only 17% of us had healthy periodontal tissues (gums) that displayed no signs of disease whatsoever. It appears that residents of the North of England are the most diligent when it comes to their oral health. 56.1% reported to us that they had seen a dentist within the 24 months during which our study was completed - compared to only 44.3% of Londoners. London was, in fact, the region with the largest number of individuals who reported failing to see a dentist within the last two years. Approximately 13.6% more children in the North were reported to have visited a dentist over the past year than their counterparts in London - with only around half of the latter group doing so. The most common treatment that UK adults receive at a dental surgery is a scale and polish. This involves the removal of plaque and tartar, helping clean away stains and prevent unhealthy build up that could cause gum disease. Scale and polish constituted over 45% of all treatments the adult subjects of our study had undergone in the past year. Scale and polish is, however, only the third most common dental treatment performed on children - with one million instances of this treatment occurring since 2017. Our survey shows that the most common treatment received by children is Fluoride Varnish, which had seen a 17.5% increase since the period from 2016 to 2017. A total of 5.5 million children underwent Fluoride Varnishing during that year. Fluoride Varnish is a yellow gel that can be applied to children’s teeth twice a year to help prevent tooth decay. The number of NHS dentists practising in the UK has risen by 1.3% since 2016-2017, with around 59% being female and 41% male. Just over a third of dentists are aged under 35 and over 80% practice under the General Dental Services contract. During the last year, the NHS spent £968 million more than the previous years’ £205,398 million (and £1,662 million more than the year before) on community health media and dental services. Each child’s tooth extraction costs the NHS around £850. £50.5 million was spent on tooth extractions on children in just one year (from 2015 to 2016), while £7.8 million was spent on tooth extraction for under 5s alone. It’s more vital than ever to ensure that we take good care of our teeth and gums as well as those of our children - not only in order to avoid serious health problems in the future, but also to reduce financial pressure on our public health services. Arranging regular checkups is very likely to prevent the need for expensive emergency treatment further down the line and will reduce unnecessary healthcare expenditure. It will also defend against any potential pain and discomfort that you may suffer in the future. For more information about how you can improve your oral health, simply speak to your dentist today. If you want to see all of the data we used for this study, click here.